As the leading provider of high end moving services in London we are equipped and ready to manage every aspect of your removal in London. Our specialists are truly dedicated to your comfort and peace of mind and they will make sure that the service you receive from us is going to cover your needs completely. The London packing service we offer to your attention here is a true testament of this dedication. 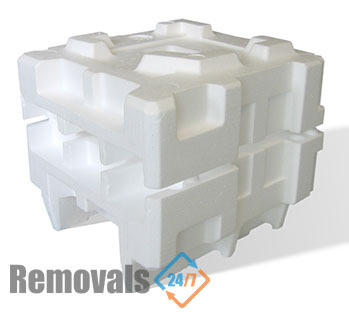 Packing is of course among the most responsible jobs that there might be related to your relocation. That is why you should make sure it is done properly. This is the place where our trained, fully licensed packers in London come into play. They are ready to handle this specific and rather complex job for you. Do not worry about a thing – now that you have Removals 24/7 by your side, there is someone to take care of business the way it is meant to. Feel free to contact us today and make a reservation so that our packing team in London arrives at your place the moment you want them to. We never make compromises with the quality of the services we offer to our potential clients. The packing solutions in London we are talking about here make no exception to that rule. We are truly dedicated to quality and that is evident from the outstanding customer reviews that we receive on a regular basis. We have been the best removal business in London for years now and we are ready to do whatever is necessary to live up to our reputation. We will help you pack your goods for transportation and storage alike. Our storage facilities are in a location which is easy to access. They are fully secured and contain units varying in size – from lockers and large rooms. They are available without a minimum contract period attached and on prices that are truly competitive. Get in touch for a free quote and find out more about our moving, storage and packing solutions in London. London is the largest city in Britain and the capital of the UK. With a population of well over 8 million people, London is also visited by tens of millions of tourists every year. Popular tourist destinations within the territory of Inner and Greater London include Kew Gardens, The Royal Observatory in Greenwich, Big Ben, as well as the Wimbledon Tennis Tournament – one of the four World Cup Grand Slam tournaments, which attracts an average of 250 000 spectators every year.